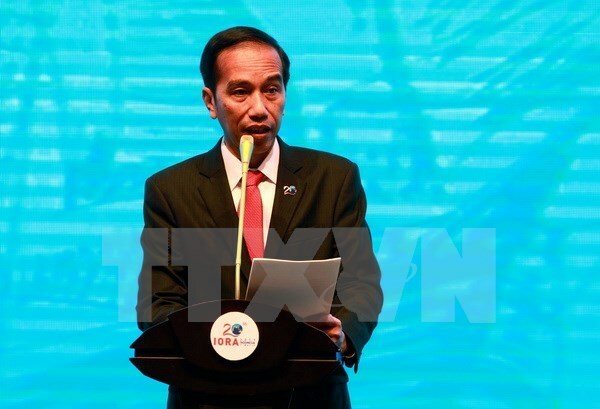 Jakarta (VNA) – Indonesian President Joko Widodo on August 16 affirmed the need for the most populous Muslim-majority country to unite to cope with the threat of extremism and safeguard its constitution that enshrines religious freedom and diversity. In an address to parliament ahead of the Independence Day (August 17), he said that it is essential to address inequality and tackle the threat of radicalism. Unity not only creates an equitable economy, but also contributes to ideological, political, social and cultural development, he stressed. In the field of ideology, Indonesia needs to strengthen national consensus in safeguarding the 1945 Constitution, solidarity and unity in diversity, he added. The President made the address just one day after the country’s police arrested five Islamic militants in Bandung, West Java province, and seized chemicals that they confessed were being used to make bombs for attacks on the Presidential Palace later this month.